For those who prefer glamour with a dash of all-out flash, matte metallic reigns supreme! M?A?C introduces a new twist on M.A.C's classic Retro Matte Liquid Lipcolour with saturated molten shades. These new metallic lipcolour shades from the popular Retro Matte lipsticks collection feature subtle metallic shimmer finish that dries to an elegant plush matte finish.Whichever metalized shade you choose from the M.A.C Retro Matte Liquid Lipcolour Metallics Collection , all promise one thing: a jolt of pure matte metallic colour in a liquid-suede finish that lasts and lasts. 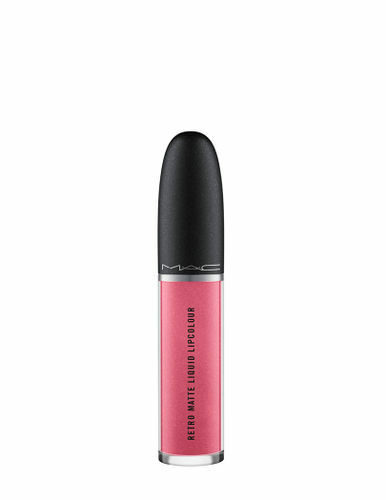 Alternatively, you can also find many more products from the M.A.C Retro Matte Liquid Lipcolour Metallics range.